With Christchurch’s Cup and Show Week nearly underway. We’ve got some advice for those thinking about going. Addington Raceway and Riccarton Park are the country’s biggest week in horse racing. More than 20,000 people are expected to pour through the gates at Addington next Tuesday to watch the Christchurch Casino New Zealand Trotting Cup. Tickets are available online and at the gate for both Addington and Riccarton. Take a taxi or hop on a bus, or arrange to be dropped off nearby. Addington also offers a free bus service to the city from 5.30pm on Cup Day. The Addington alcohol ban from 9am to 10pm on the day of the New Zealand Trotting Cup covers the area bounded by Lincoln Road, Moorhouse Avenue, Blenheim Road, Matipo Street and Wrights Road. The Riccarton alcohol ban from 7am to midnight on the day of the NZ Cup covers the area bounded by Yaldhurst Road, Middlepark Road, Epsom Road, Main South Road, Racecourse Road, Buchanans Road, Carmen Road and Masham Road. If you’re thinking of hosting.. The information you put on your party registration is used to help you make your party a good one. It is forwarded to your friendly local community police so they know your party is happening. No details are stored on the Good One website at all, so other people using the Good One website will not be able see your party details or information. 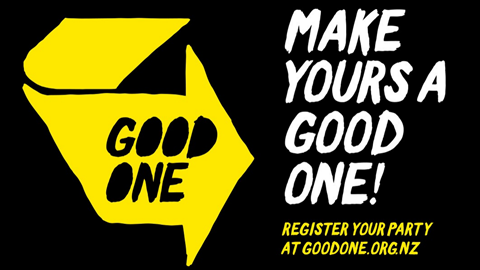 Note: Good One is an initiative backed by a number of community and government organisations including the police, student associations, universities, DHBs, tertiary providers, the Health Promotion Agency and Red Frogs. FLINT has recently launched in Christchurch aiming to share knowledge and appreciation of emerging tech and see how its contributing to positive social and environmental change. 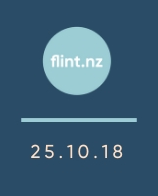 On Thursday 25th October, FLINT is planning a hands on showcase, with some technologies designed and built on our doorstep here in Christchurch!